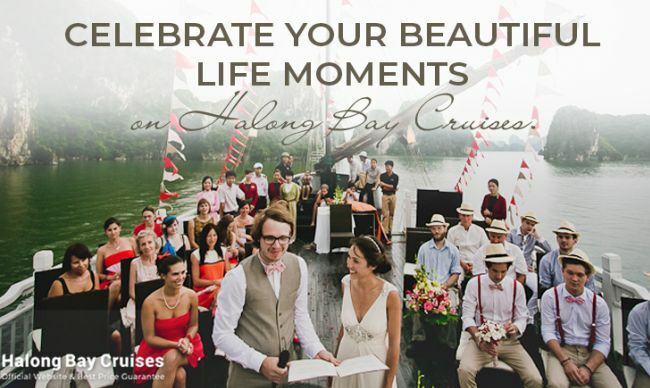 Among interesting activites when cruising in Halong bay, most tourists are interested in a cave visit. 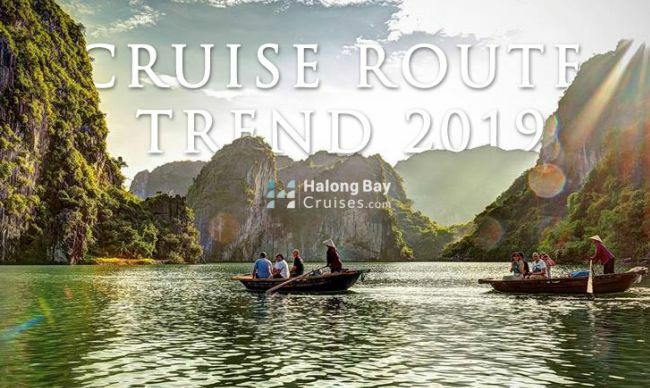 Though Halong Bay, Bai Tu Long Bay, and Lan Ha Bay all share a similar climate, cultural, geological, and geographical character; cruises in each area will run a specific tour route which means that tourists will have a chance to visit different caves in Halong bay. 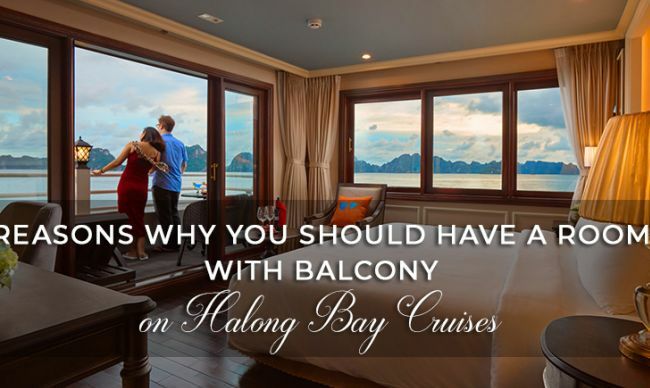 If you are planning a cruise in Halong bay and really care about a cave visit, these following information may help you to choose a suitable Halong bay cruise. 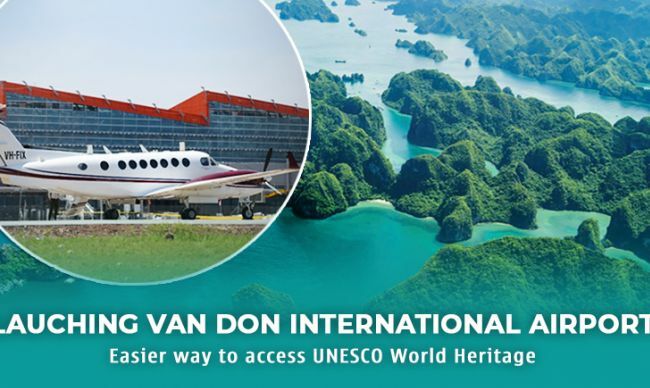 Sung Sot Cave is located in the central area of the World Heritage Site - Halong Bay, in Bo Hon Island. 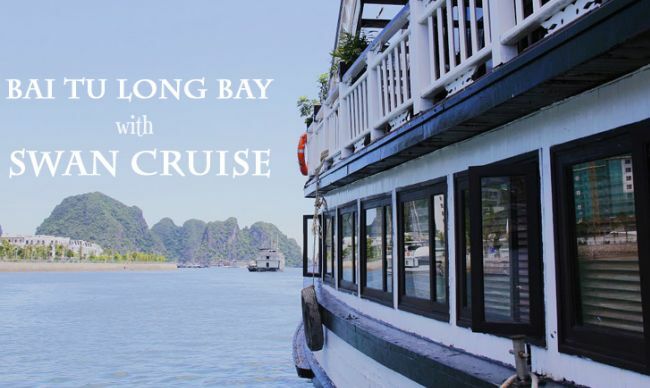 This is the most beautiful and spacious cave which is one of must-visit attractions in Halong Bay. Sung Sot Cave covers a total area of over 10,000 square meter. Described as an “Opera House”, the cave is divided into two chambers with the beauty of thousands of magic stalactites and stalagmites in various shapes. 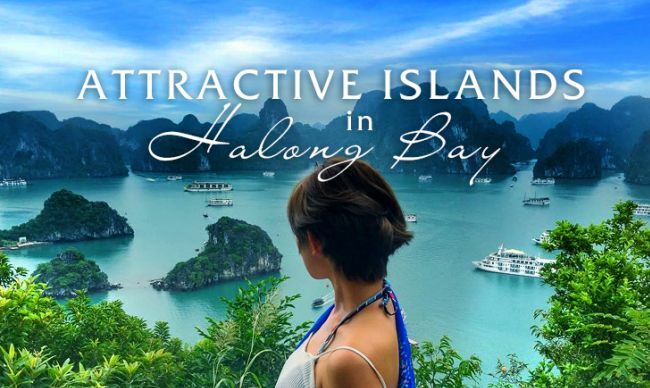 The French had come to this cave since 1901, and in the book about Halong Travel published in 1938, they called this cave Grotte des surprises (the cave of surprise). The road to Sung Sot Cave is under the forest foliage, and you have to climb over stone steps to reach the cave. 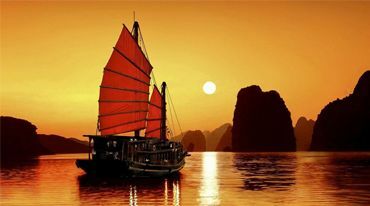 From the mouth of the cave, you can admire a beautiful calm sea surrounded by the arc of Bo Hon mountain. Sung Sot Cave is also surrounded by other attractions such as Maze cave, Luon Cave, Titov Island, etc. The first chamber in the cave looks like to a wide theatre hall with the special show of many stalactites in numerous shapes and forms. A narrow passage leads to the second chamber, where visitors admire the cave in a flow of light. These light posts create a fanciful space of sparkling stalactites where tourists can immerse in their own imagination. 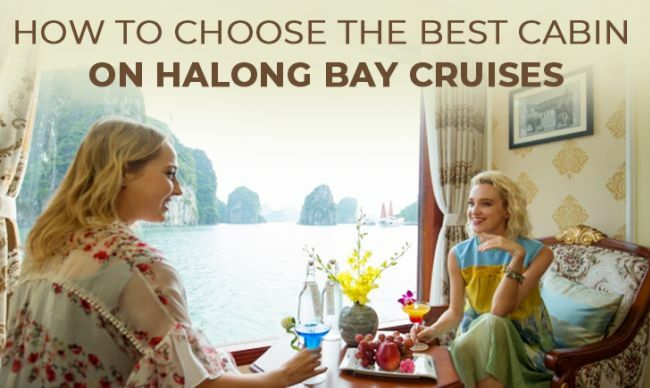 To visit Sung Sot Cave, you can join the night tour in Halong Bay with: President Cruise, Paradise Elegance Cruise, Aphrodite Cruise, Pelican Cruise, Stellar Cruise, Aclass Legend Cruise, Glory Legend Cruise, etc. Thien Canh Son is a rather unspoiled cave located on Bai Tu Long Bay in the Cong Do Conservation Area. 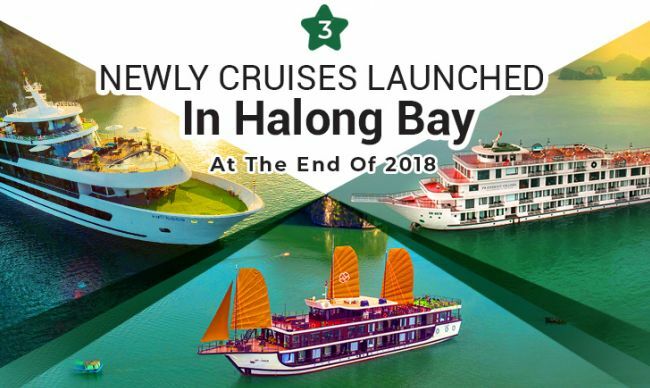 This is an interesting attraction for Vietnamese and foreign tourists thanks to the natural, unique beauty, and picturesque surrounding scenery. Inside the cave, visitors will be impressed by the strange beauty of stalactites in unique shapes formed millions of years ago. Smaller than Sung Sot Cave, this cave is just as beautiful with the entire dome of glittering stalactites as a gem carpet. 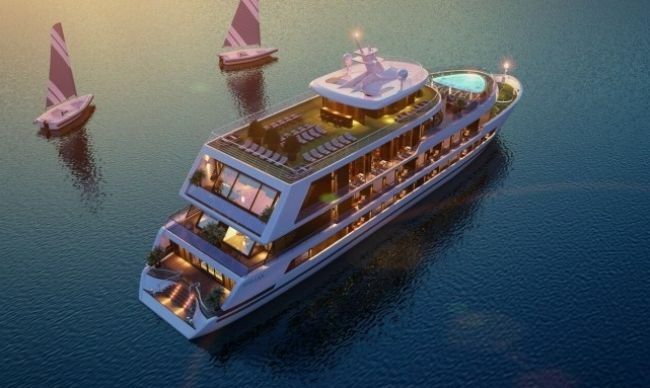 Here guests are like stepping into a fantasy world of gnomes holding a meeting, a lovely baby elephant, or a beautiful lotus flower. Outside Thien Canh Son Cave, standing under the forest canopy, visitors will be amazed by the spectacular views of Bai Tu Long Bay. Just below the foot of the cave is a beautiful beach with calm blue water and long white sand shore. The flora is diverse covered from the foot to the top of the rock islands. 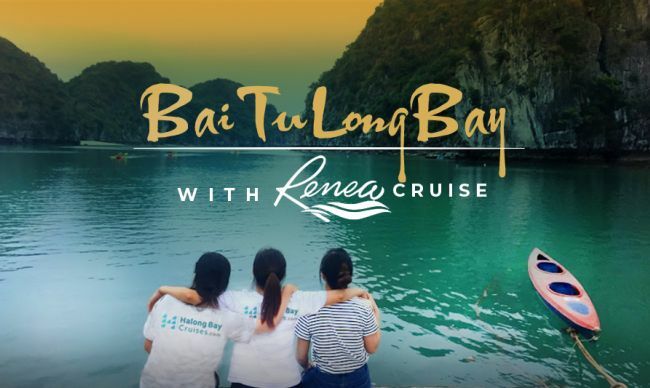 Recently, there are many cruises exploring Bai Tu Long area and have the Thien Canh Son Cave visit in their itineraries such as Signature Cruise, Signature Royal Cruise, Emperor Cruise, Athena Cruise, La Regina Royal Cruise, Renea Cruise, Swan Cruise, etc. Trung Trang Cave is located in Trung Trang valley, about 15 km northwest of Cat Ba island. Visitors almost have to stoop down all the way along the cave, which is over 300 meters long. Discovered by Vietnamese and French archaeologists in 1938, Trung Trang Cave with a length of 300 meter passes through the mountain, surrounded by rich and diverse vegetation creating fresh air for visitors. 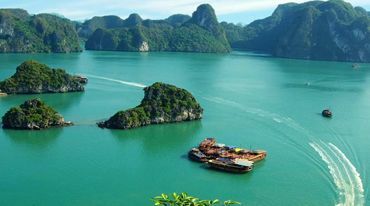 Trung Trang Cave is typical for more than 150 small and large caves in Cat Ba archipelago. 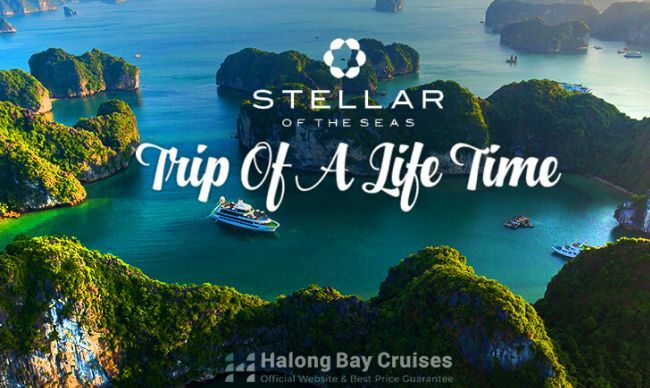 Right when visitors set foot in Trung Trang Cave, they will be surprised by thousands of natural stone stalactites shining like jewels. According to the research of scientists, stalactites and stalagmites here are about 6 million years old. Especially in the cave, there are also stone pillars created when stalactites and stalagmites meet, when you tap your hand, you will hear the sound like a melody. 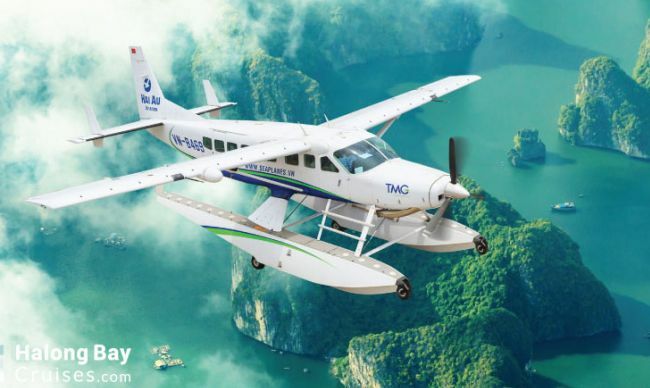 Beside the beauty of rocky mountains, visitors will see the diversity of plants of the National Park next to the trail that visitors continue the journey and visit Cat Ba National Park. 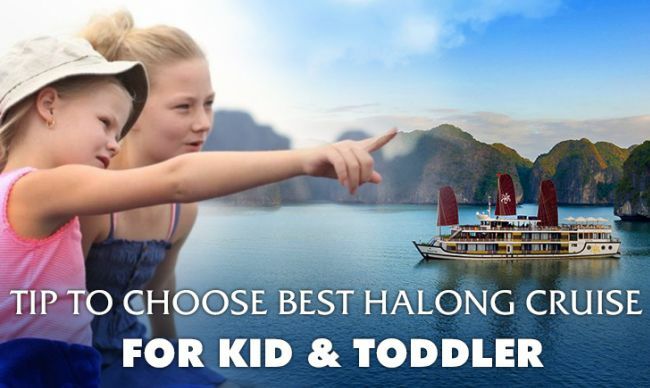 There are many cruises offering Trung Trang Cave visit as a part of their tour. 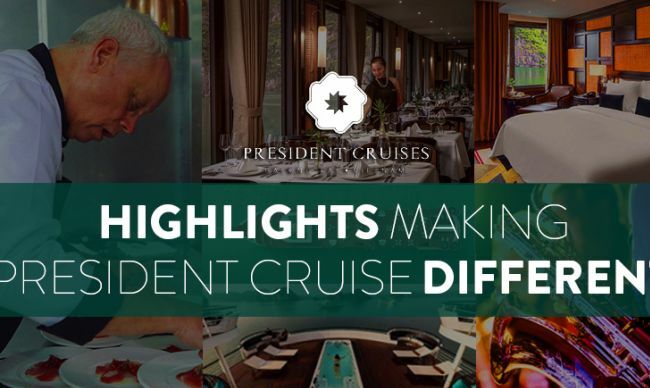 Among them, you could refer to Orchid Cruise, Azalea Cruise, Peony Cruise, Mon Cheri Cruise, La Regina Legend Cruise, etc. 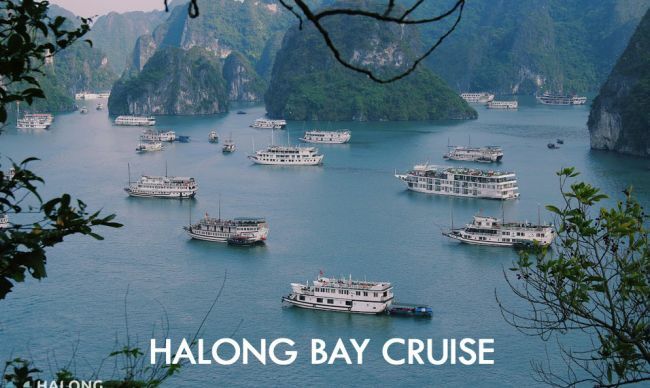 Halong Bay is not only a destination of water activities but also a paradise of magical and beautiful caves. 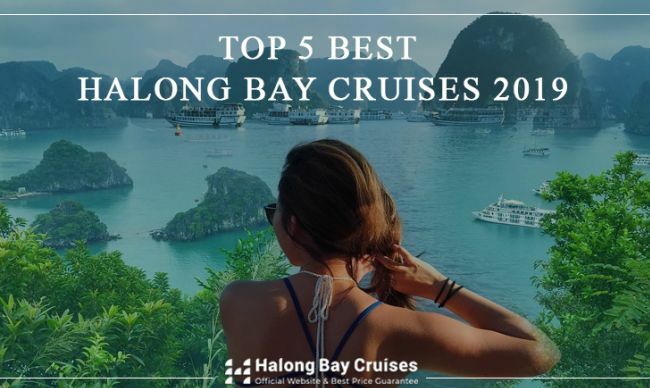 Plan yourself an overnight tour on our Halong Bay Cruises website to explore the most beautiful caves in Halong bay right now.